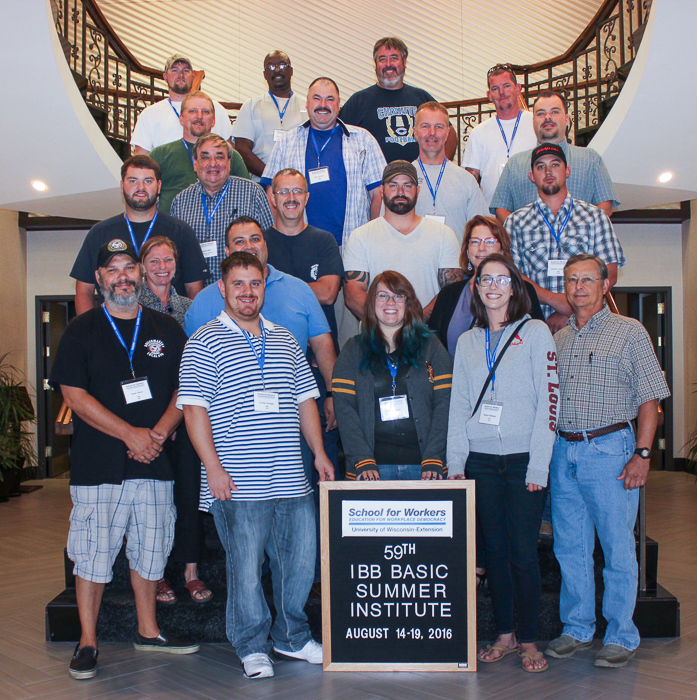 THIRTY-NINE BOILERMAKERS from the United States and Canada attended the 59th annual School for Workers Summer Institute in Madison, Wisconsin, August 15-26. Over the two-week period, the institute offered Basic and Advanced courses. 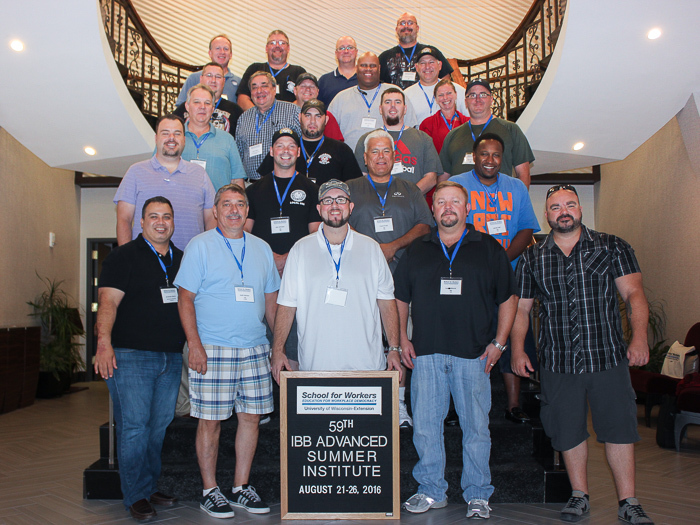 Participants received training from SFW professors as well as International staff on topics geared to a broad understanding of the Labor Movement and skills that are essential to union leadership development. Both the Basic and Advanced courses were held at the Madison Concourse Hotel, located between the university and the state capitol square. Coursework for the Basic Class included unions and society, administering the labor agreement, collective bargaining, the National Labor Relations Act, workers and the global economy, the Family and Medical Leave Act, health and safety, and labor history. Classes taught by Boilermaker staff included political action, health and safety, Boilermaker history, communication skills, and structure of the Boilermaker union. Members attending the Basic Class included: Local 11 (Helena, Montana), Matt Simpson; Local-D93 (Humboldt, Kansas), Thomas Tiegreen and Randy Modlin; Local 108 (Birmingham, Alabama), Jesse Marler and Austin Wolverton; Local 146 (Edmonton, Alberta), Hugh Price, Blair Savoie and Victoria White; Local D-239 (Three Forks, Montana), Denton Laughlin; Local 344 (Ridgecrest, California), Yordan Artigas, Jessi Beaver, Charles Hale, Natalie Webster, Ross Weiler and Paul William; Local 374 (Hammond, Indiana), Jeff Spinks and Warren Wolf; Local 580 (Halifax, Nova Scotia), Michael Williams; Local 696 (Marinette, Wisconsin), Dakota Lueskow and Ryan Pecor; and IBB, Emily Allen. Members attending the Advanced Class included: Local 19 (Philadelphia), Alex Biddy, James Hall and Sean Harvey; Local 108; Bruce Wilson and Lesley Moore; Local 146; Trevor Loren and Blair Savoie; Local D209 (Speed, Indiana), Clint Shawler, Keith Boman and Kevin Druin; Local 344, Michael Duck, Frank Frost and Jerome Roark; Local 696; Marvin Elkins, Anthony Guarisco, Alger Olson II and Jim Johnson; and Local 1240 (Wabash, Indiana), Kenny Gatchell and Aaron Mabery.